Provide comfort for the family of Gary Kilcrease with a meaningful gesture of sympathy. Price – Utah Gary Rufus Kilcrease passed away April 4, 2019 surrounded by family at Utah Valley Hospital of a brief battle of pneumonia. Gary was born February 8 1945 in Hiawatha, Utah to Garland and Lucille Steele Kilcrease. Gary served in the Marine Corp in Vietnam in 1964 to 1969. Gary Returned to Price in 1969 and married Connie Jo Basso on August 11, 1969. 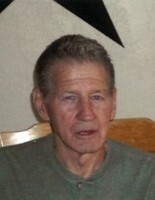 Gary worked in the coal mines and later in life went to work for the Carbon County Housing Authority where he retired. 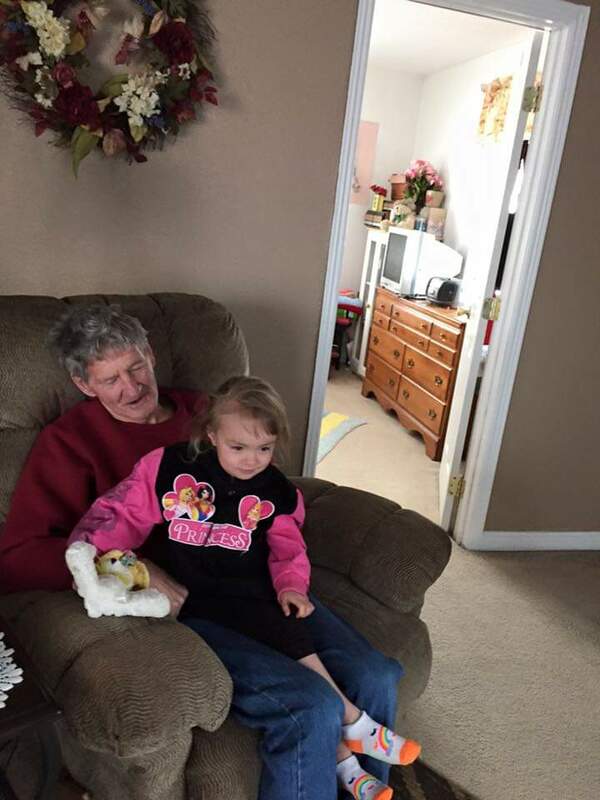 One of Gary’s greatest joys was spending time in his yard, spending endless time visiting with his family, but his greatest joy was his time spent with his grandkids. Gary was truly a kind giving man anything to help others if he had it and you needed it, it was yours’s to have. Gary’s sense of humor and loving way will be truly missed by all who ever had the honor of knowing him. Also survived by Brothers; Don Kilcrease, of Salt Lake City, Ut; Larry (Carol) Kilcrease, of Hurricane, Ut, Mike (Martha) Kilcrease, of Price, Ut; Sisters Linda Crowe, of Price, Utah, Margaret (Tony) Pinarelli, of Santee, Ca, Judy (Kelly) Fausett, of Hurricane, Pam (Ray) Clark, of Home Stead, Fl, and numinous nieces and nephews. 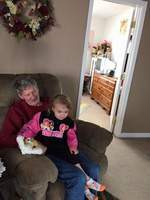 Preceded in death by his Parents, Daughter, Denise, Granddaughter, Alisa Shea, Sister Jo and Romona, Brother Brent. To send flowers in memory of Gary Kilcrease, please visit our Heartfelt Sympathies Store. Provide comfort for the family of Gary Kilcrease by sending flowers. 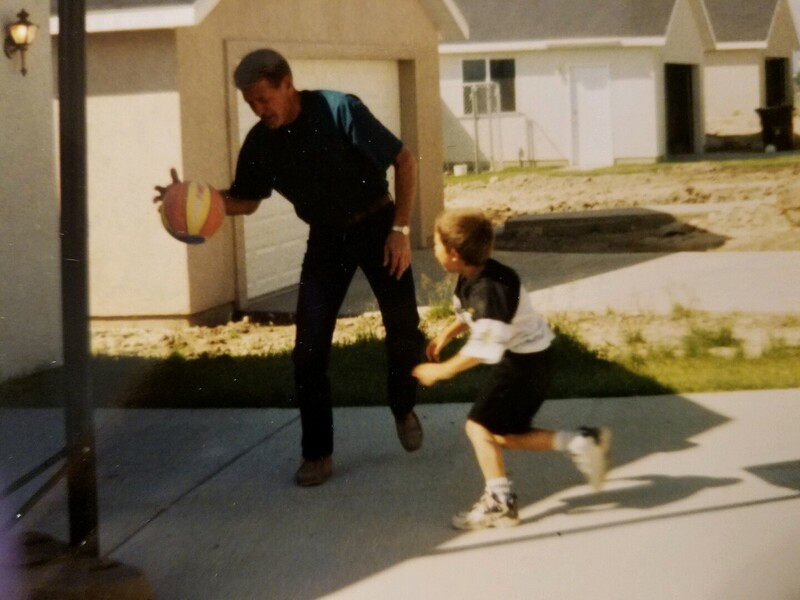 Joey and Grandpa shooting some hoops! Hey Gary! This is your oldest sister. I have so many memories of growing up with you in Hiawatha. there were 4 of us girls and our brother Don, when you came along. Needless to say that Mother had her hands full with a 2 year old (Linda ) and our sister Jo was sick a lot so Mona and I were the ones that helped out with you. You had your days and nights mixed up so we spent a lot of time rocking you at night trying to get you to sleep. Our days in Hiawatha were filled with a lot of games that we would make up, like in the evenings it would be "kick the Can" or "Run Sheepie Run" we would stay out until it was too dark to play. One of my favorite memories was walking on the rail road tracks and trying to see who could walk and keep our balance before we fell off. Of course I never won. All so we played a lot in the Ceders climbing trees and picking pine nuts, couple of times it got real dark and we had a hard time getting home. My favorite memory was the time Grandpa sent you to look for eggs in the chicken coop and you ran out screaming, Grandpa ask what was wrong and you said " that red headed chicken was trying to bite you" It was not a chicken it was the Rooster, Grandpa loved telling that story. I have so many memories of you that i wish i could tell but it would take to long. I still have the letters and pictures you sent me from Vietnam i will cherish them always. You have a beautiful wife and daughter to carry on as well as all your siblings. So my sweet brother you did not go along, you took a piece of all of us who loved you. so my brother may you rest in Eternal peace with all the Angels and Saints in Heaven. Will always love and miss you. Heartfelt condolences to the family at this time of loss.